Confused by the title? 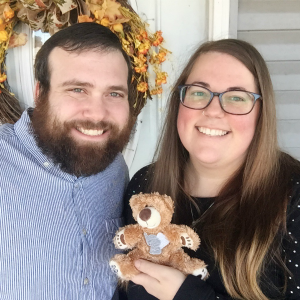 I thought you might be since I sorta announced two years ago, only four months into my marriage that I was definitely not in any hurry to have a baby and that it may or may not even happen for us (I was leaning more towards a baby free life).This post is kinda long and chock full of information from the past 12ish months. 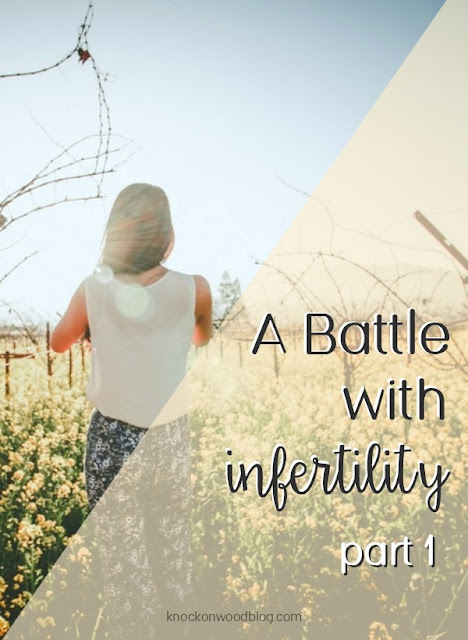 I debated the entire time whether or not I was going to talk about any of this on the blog, but when Becca shared her story it helped me feel better, like I am not alone in this struggle as a woman. And I thought that maybe if I shared my story it will help someone, like her's helped me. In March of 2015, I got some news from my regular family doctor that began to solidify my suspicions that I have PCOS (Polycystic Ovarian Syndrome). I have several confirmed symptoms (irregular to no periods, extra hair growth in places I'm not supposed to have it, hair loss on my head, trouble losing weight, skin tags), the only thing I hadn't done was get an ultrasound to see if I had cysts on my ovaries. I was a wreck, but it was then, when I potentially had the decision to have a child taken away from me by my body, that I started to reassess my position. A few short weeks later we visited my family for Easter and I got to meet my baby nephew for the first time. It was all over from there. Not long after we got home from that trip I brought the topic of having a child up to Hubs again. I'm not going lie, he totally thought it was all because I got to snuggle a cute baby at Easter. And that was an interesting conversation. Anyway, we talked and I thought and we talked some more for about two months, and finally decided that we were going to do it. We were going to try for a baby. So, in July of 2105 I had my IUD (intrauterine device) removed (surgically, by the way cause it had turned itself sideways) and after the required two weeks of recovery we began our journey. That first negative pregnancy test was hard for me. I mean haaarrdddd. I even wrote about it, here. It didn't really get any better from there and I struggled with whether or not I was going to share our decision and this journey here in this space. I started tracking all the things: my basal body temperature, my cervical fluid, and used ovulation prediction kits (OPK). After several months with absolutely zero results on anything, it appeared to me that there was a problem: I wasn't ovulating. In November we went back to my OBGYN to get some advice. She also agreed with me (and my GP) that PCOS seems the likely culprit holding up the process. That's when she put me on the Paleo Diet. However, she didn't offer us any other options other than for me to lose weight or talk about what the next steps were, and her beside manner was just not very warm. I was disappointed, but I tried anyways. Paleo didn't work for us, which was no surprise to me. But we had the Thanksgiving, Christmas, and our cruise in December to look forward to, and I thought "maybe that whole 'relax and it will happen' thing might work for us." It didn't, and I fell into a deep depression. Things have gotten better though, and I will tell you all about that in Part 2 next Monday.